(CNN)– Republican Sen. Marco Rubio of Florida attempted to clear up Wednesday his controversial answer to a question about the earth's age last month. "Science says (the earth) is about 4.5 billion years old. 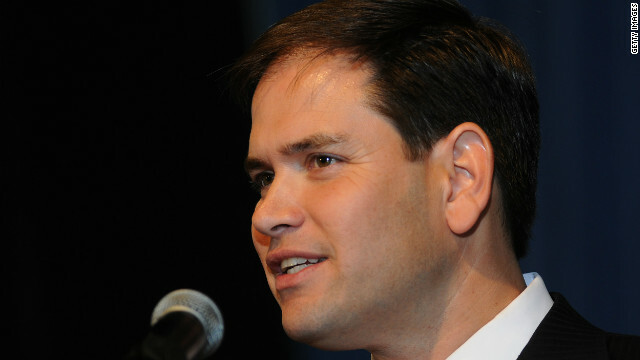 My faith teaches that's not inconsistent," Rubio said at a Politico Playbook Breakfast in Washington. "God created the heavens and the earth, and science has given us insight into when he did it and how he did it." "The more science learns," he continued, "the more I am convinced that God is real." Rubio was asked how old the planet was in an interview with GQ magazine published November 19. The senator, who's considered to be weighing a 2016 presidential bid, replied saying the Earth's age is "one of the great mysteries." Emphasizing he "was not a scientist," Rubio said "whether the Earth was created in seven days, or seven actual eras, I'm not sure we'll ever be able to answer that." Professor Richard Dawkins – "What if you're wrong?" AND 3 BILLION year old what ?